Jaded Blossom: Happy Easter and Guest Designer Dardie! Happy Easter Everyone from the whole Jaded Blossom Crew. It's our Awesome March Guest Designer's last day with us and her project is just so cute! Please stop by her blog and give her some love. Hey it's Dardie again from Ant Doda's Crafty Corner and my last day for being a guest designer for Jaded Blossom!! I just want to say Thank you so much for picking me it has been so much fun!!! I just love my Jaded Blossom stamps!! This weekend in is my little guys 3rd Birthday and of course he wanted that famous mouse for his party so everything is Mickey right now in our house so on to my project!!! These are some of our treats on our candy table. 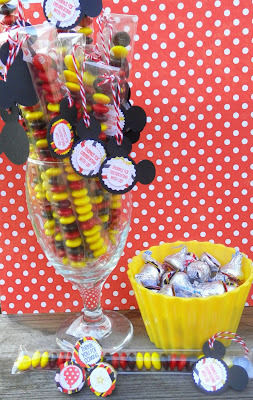 New Candy Charms and Banners Dies( I love this set), Birthday Candies, and the Friendly Kisses. Thanks so much for looking !!! It has been a great month getting to be a Guest Designer!! adorable!!! 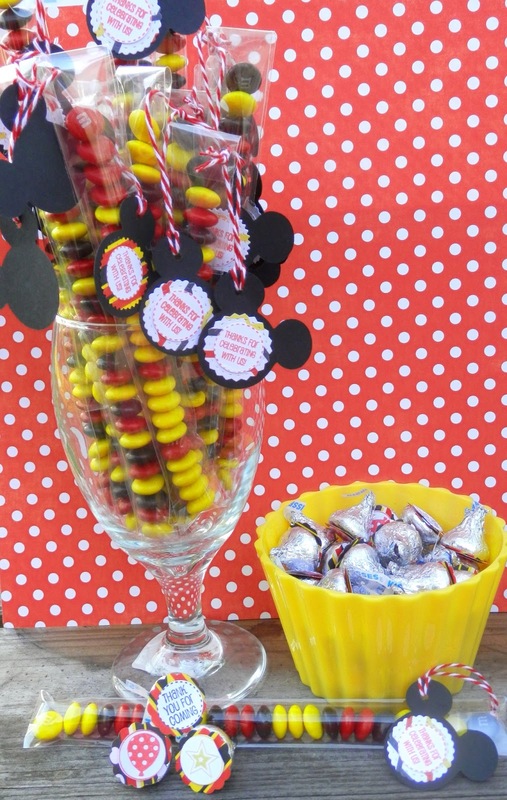 such a fun treat idea!! This is so CUTE Dardie, I just love it. This is soooo cute!! I LOVE Mickey!!! !